This has been asked for a few times before, but none recently or with the Pixel/Nougat specifically that I was able to find. Root is unavailable, so I need a way to do this as a regular user. 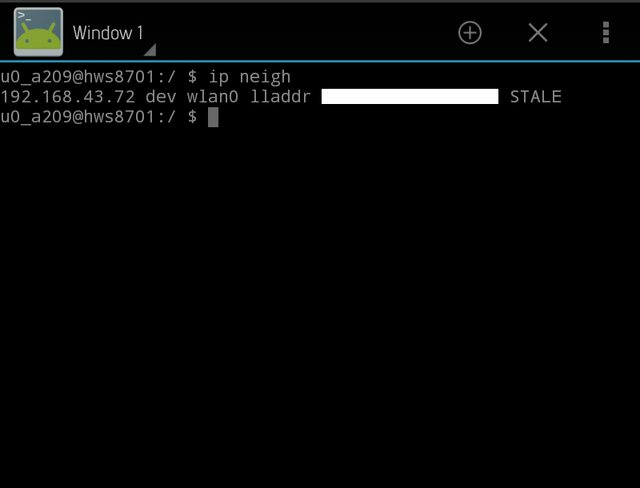 I really just want to see what IP my Raspberry Pi got assigned by the Android DHCP. Also, if there's a way to set DHCP reservations to avoid having to look it up every time, I would love to know how to do that as well. Most of the solutions known to me require root (as I noted in comments). However there is a third-party application that seems to be able to handle this task as well. Managing multiple WiFi hotspots for different scenarios. Monitoring all connected clients to your device. WiFi auto recovery: WiFi state will be recovered if the hotspot is turned off (assuming either widget or the app to toggle). Another "uglier" workaround involves using terminal , but it has an advantage if you already have terminal installed in your device. 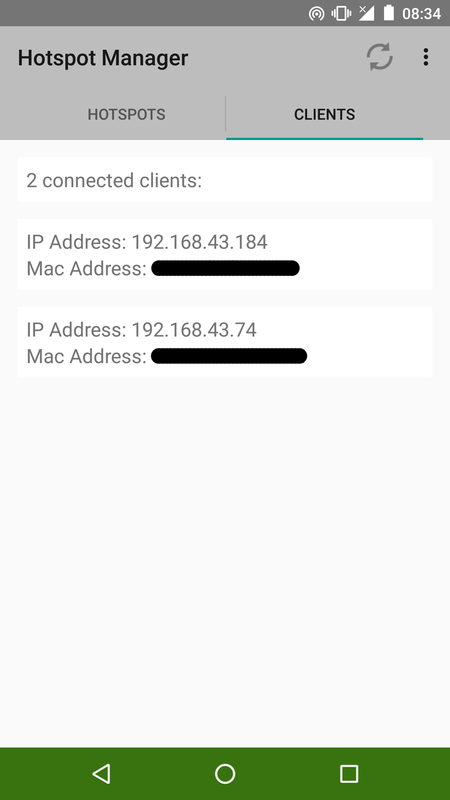 Use Ksiri tool to list devices connected to your hotspot. Updated information on request: I was facing same issue on my Android Oreo, some tools on net available is filled with ads or asking for unnecessary permissions. Just for this simple listing of which devices are connected, ads and special permissions, both were not necessary, so I have created this app, which will not ask for any permissions and neither shows any ads. This is the first step of "Ksiri Tools" that I have created, further if any tooling things comes up, I will add same app. I have not released any of my apps on play store, as I feel it's unnecessary to pay Google. You can download apk file and install. While installing you will be clearly shown by Android that this app doesn't require any permissions. So safe to use. Not the answer you're looking for? Browse other questions tagged wifi-hotspot 7.1-nougat google-pixel or ask your own question. 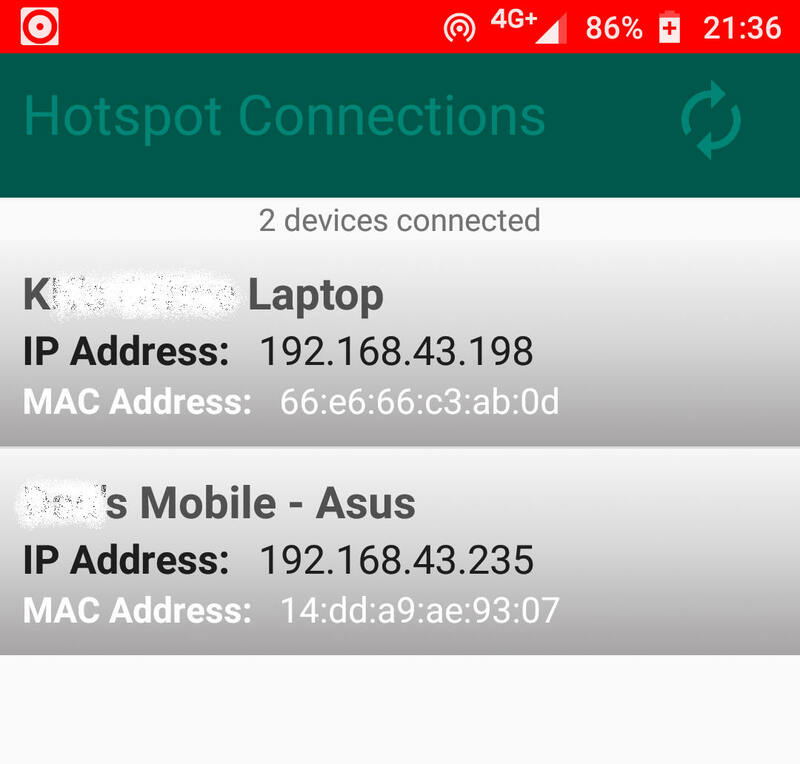 How do I check who is connecting to my hotspot? How to get the information of users connected to a Wi-Fi hotspot? How can an Android phone acting as a local hotspot show how many people are connected to the hotspot? How many clients can be connected to a WiFi Hotspot? How Google Pixel owner register the unlimited free storage? How to distinguish is the Google Pixel phone from Verizon? No more badge notifications on Google Pixel? How to add my own gifs to Nougat keyboard gif search? 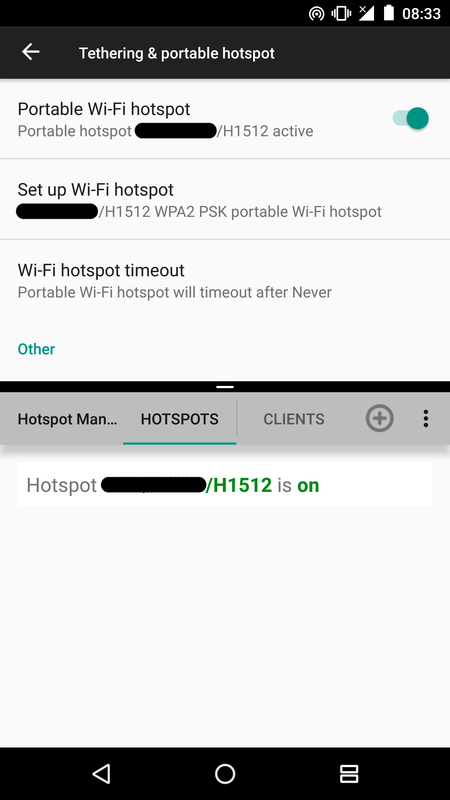 How to stop undesired foreign devices from connecting to our hotspot on Android?